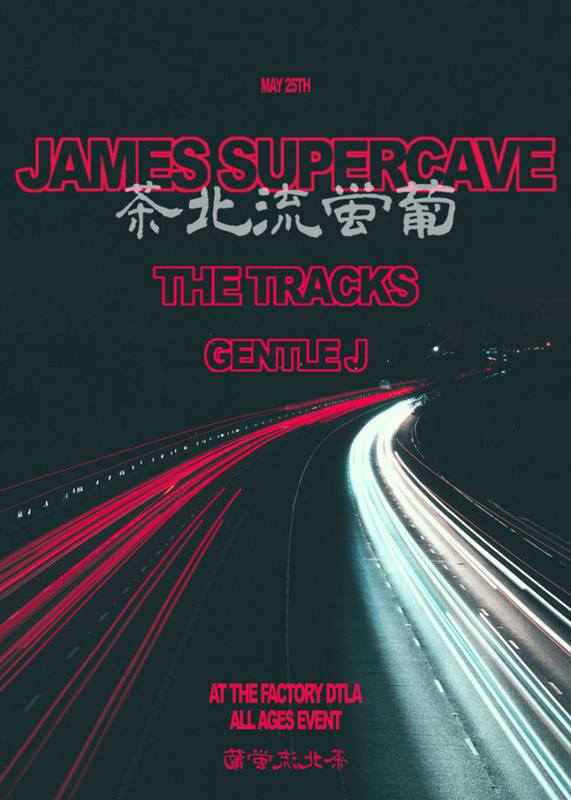 Hardin Bourke Entertainment : JAMES SUPERCAVE LA WAREHOUSE PARTY ANNOUNCED! JAMES SUPERCAVE LA WAREHOUSE PARTY ANNOUNCED! Mark your calendars! James Supercave have added a new show in Los Angeles at The Factory (DTLA) on May 25th. The uniquely-set warehouse show will be opened by The Tracks and Gentle J. Tickets and more info can be found HERE!